We are a local and independent theatre school which was founded in August 2011 by Charlie Condron and our schools have grown since then. We offer term time classes in 5 different locations, our Twinkling Stars classes are for students 3-6, our Shining Stars classes are for students 6-8, our Shooting Stars classes are for children 8-10 and our Super Star classes are for students 10+. All our classes focus on drama, singing and dance in equal part. We work on skills and confidence building while having great fun. At the end of each term we put on a production for family and friends to enjoy. We also offer LAMDA classes in both acting and Musical theatre. During these sessions students work on individual performing and presenting skills and we hold annual exams each Spring term. 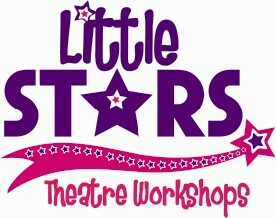 We offer a free trial for all children to come along and see for themselves what Little Stars is all about! We also offer holiday workshops, each school holiday where children can come along for a series of days based on a theme and have great fun, while working towards a show that is performed on the final day of the workshop.